* Clean the pineapple.. peel and make chunks of it..
* Take the chunks in a kadai with sugar and water..
* Cook in Low flame till the water goes up. 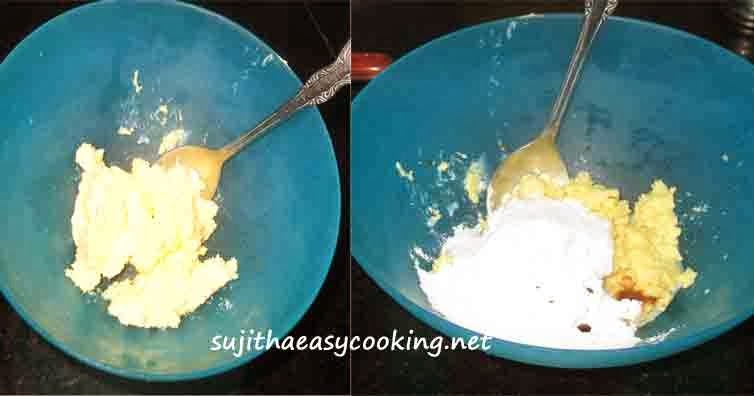 * Beat butter and sugar till sugar dissolves. 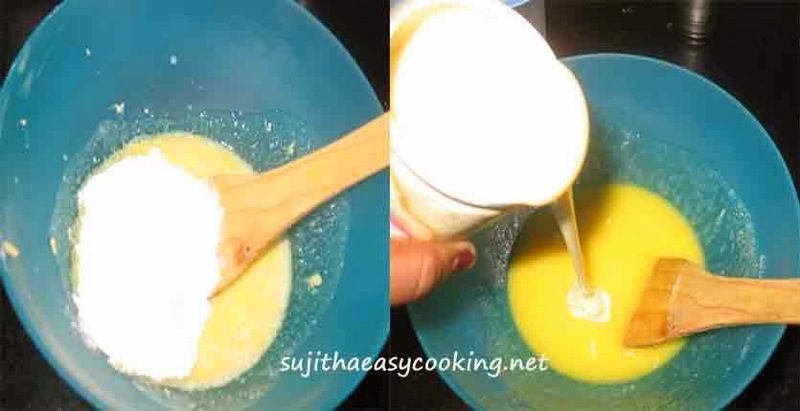 * Add the Condensed milk..
* Add in the full fat milk. 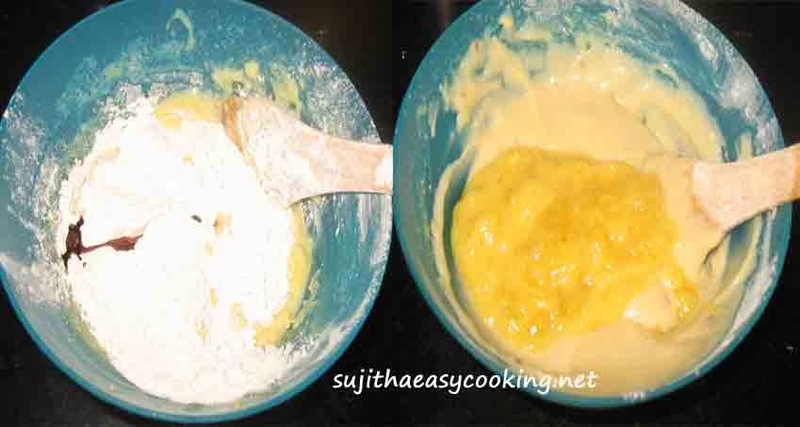 * Sieve the Flour, Baking powder and Baking soda..
* Add the Pineapple puree..
* Mix well.. and fold the batter in a greased pan. 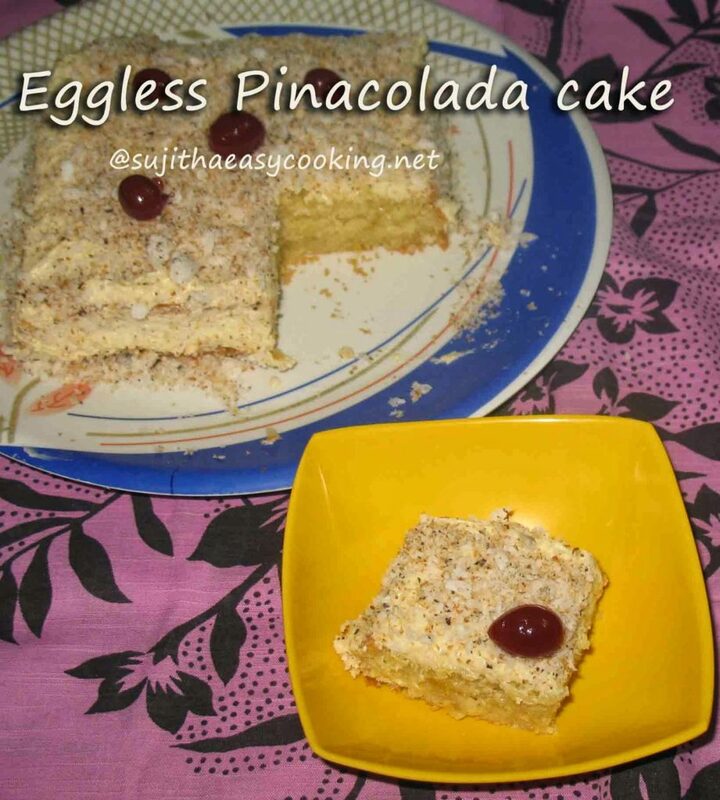 * Take the butter… make sure the butter should in room temperature.. if you taking out from the refrigerator then microwave it for 12-15 seconds..
* Add the Powdered Sugar, Milk and vanilla essence..
* Toast the grated coconuts in a kadai till they are brown in color..
* I cooled the cake for 2 hours.. 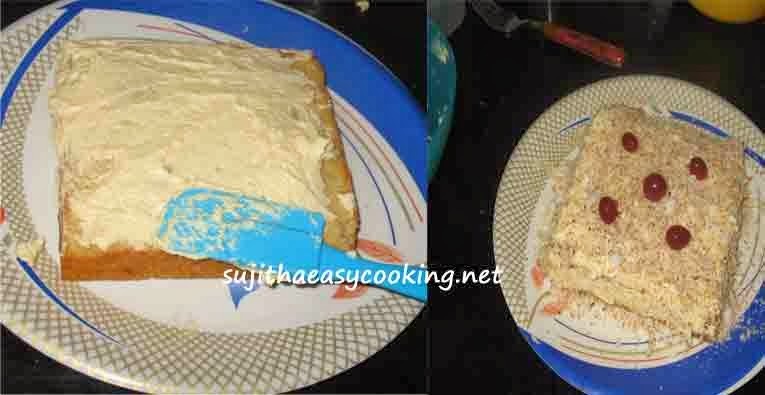 Spread the Butter cream frosting and top it with toasted coconuts and cherries..